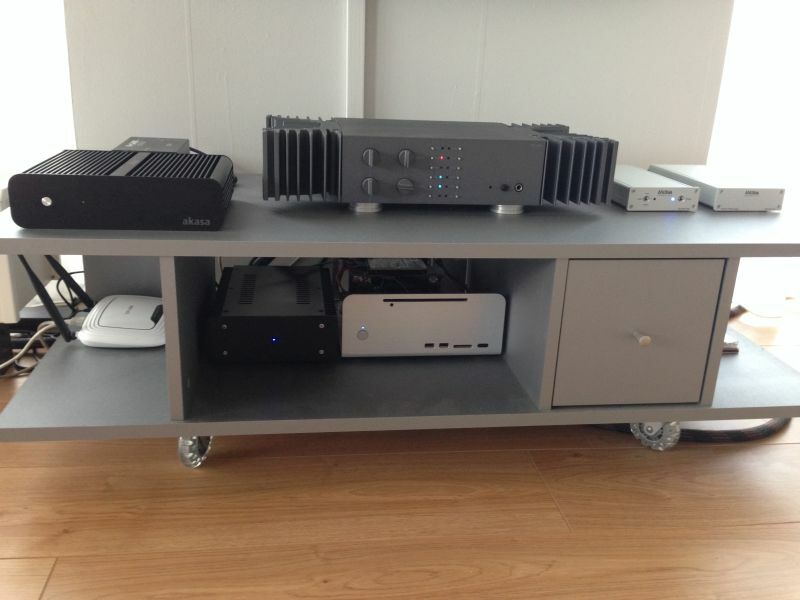 The gallery of this H1.S fanless pc set up could be found on team-mediaportal.com forum. Russian version for the author review could be found at ixbt forum. The direct link for the original review. It can be used to power two devices simultaneously, my main audio player (19V) and NAS (12V), and is affordable as well. Because I live in Europe, I saw that they also send from Germany, which saves me on import duty and taxes. Combined with a favorable USD to EUR rate, I decided to order one. 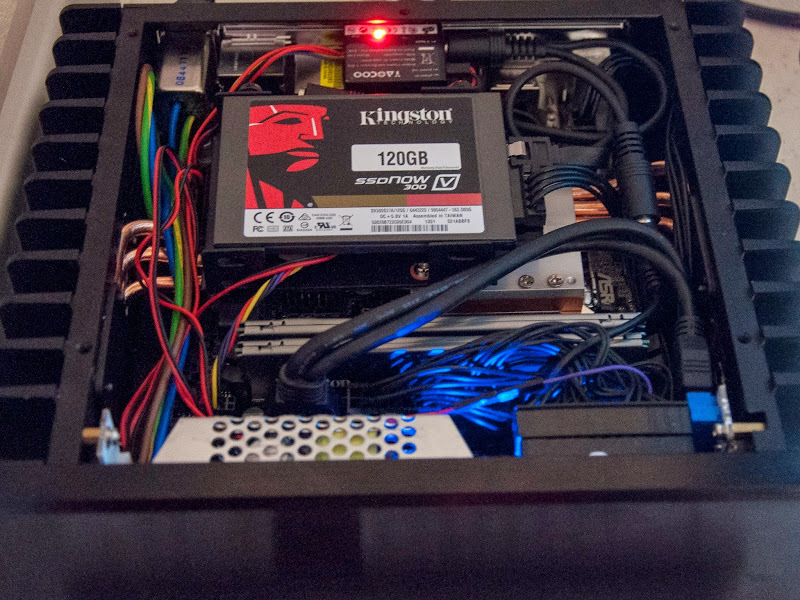 This week the PSU arrived and I put it to the test. I have listened to it for a couple of hours now, but the improvements where spotted easily. 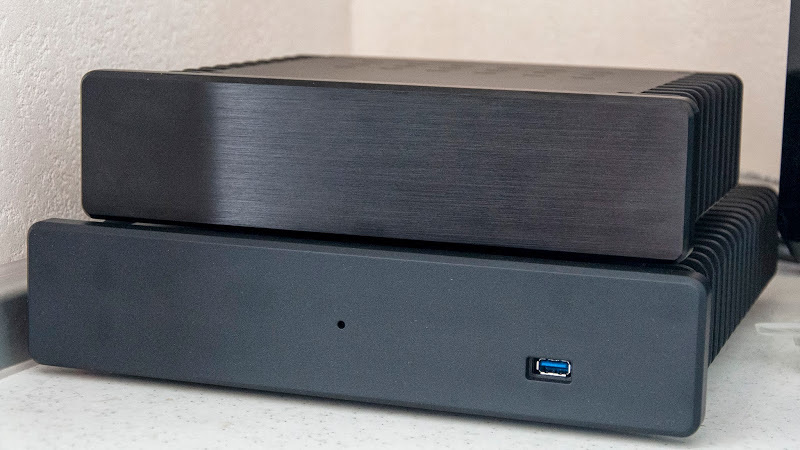 Because I already use a separate power supply on my USB-S/PDIF converter, I did not expect the effects to be big, but it turned out to be a very welcome addition to my setup. 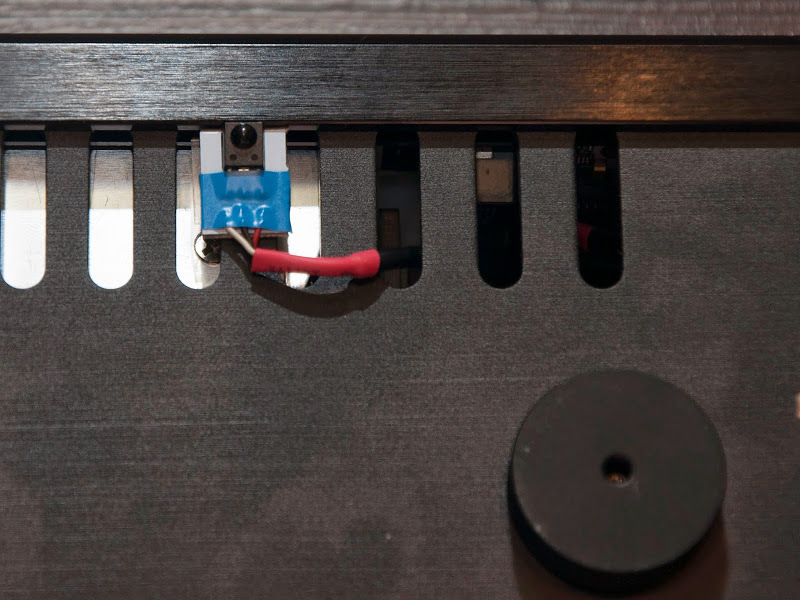 As noticed in other threads, I found that the linear PSU improved the sound on imaging, transients, detail and bass. Especially on live recordings, there is a huge improvement in detail and realism. Overall I am very pleased. 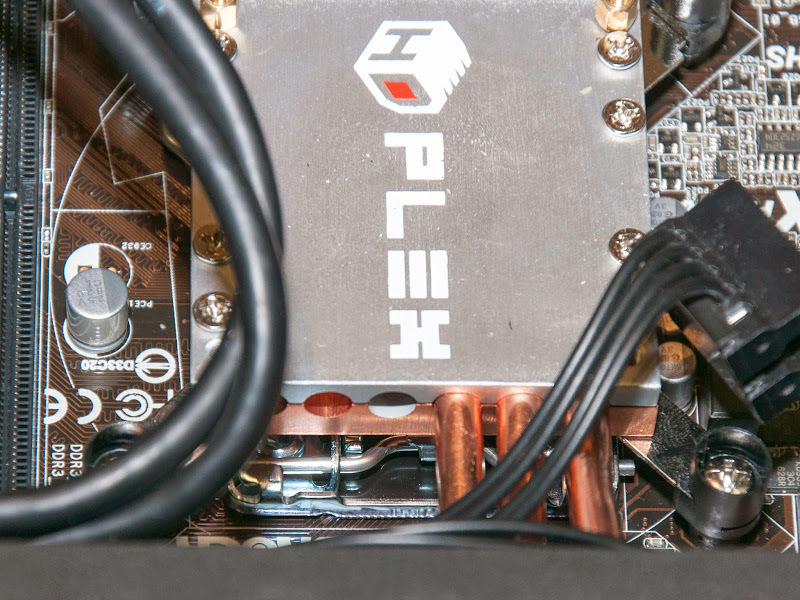 If you live in Europe like me, this PSU might be a good option to consider. The original review is from here. 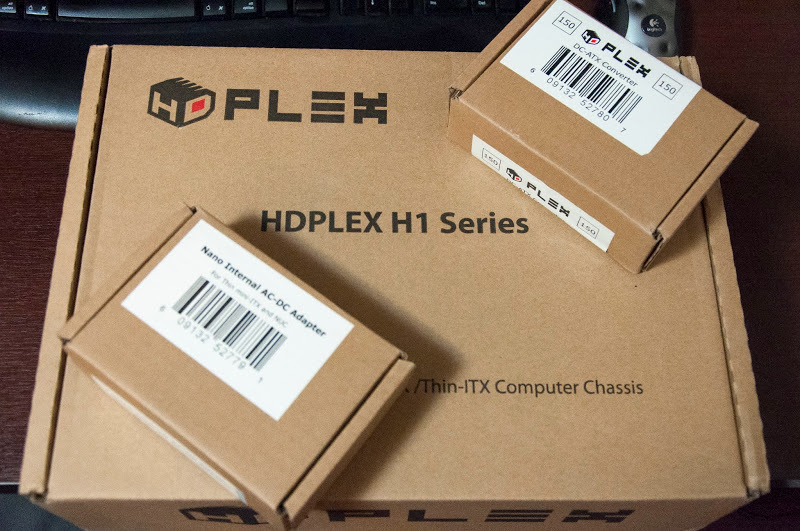 •HD-PLEX H1.S fanless computer chassis – From the looks of it this is going to be a fun one to assemble and experiment with. No fans = no noise. No moving parts = less dust. Very tiny, attractive, and power efficient design. 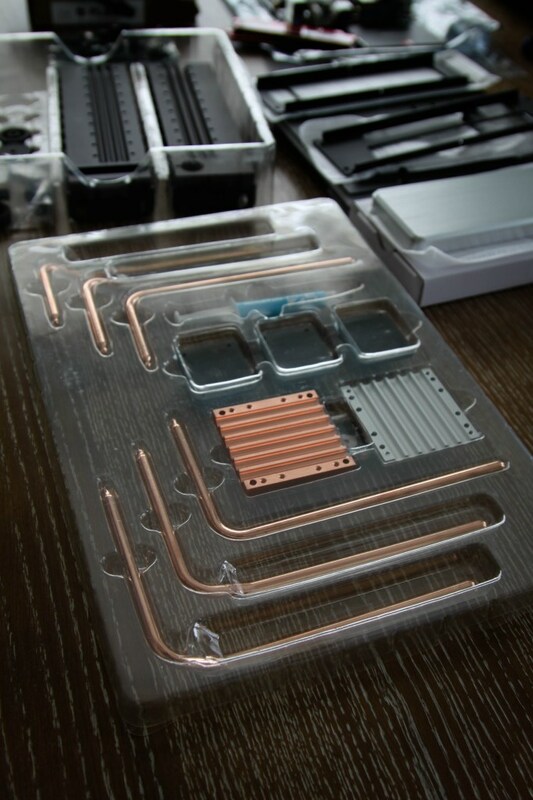 This chassis cools via 6 copper heat-pipes. 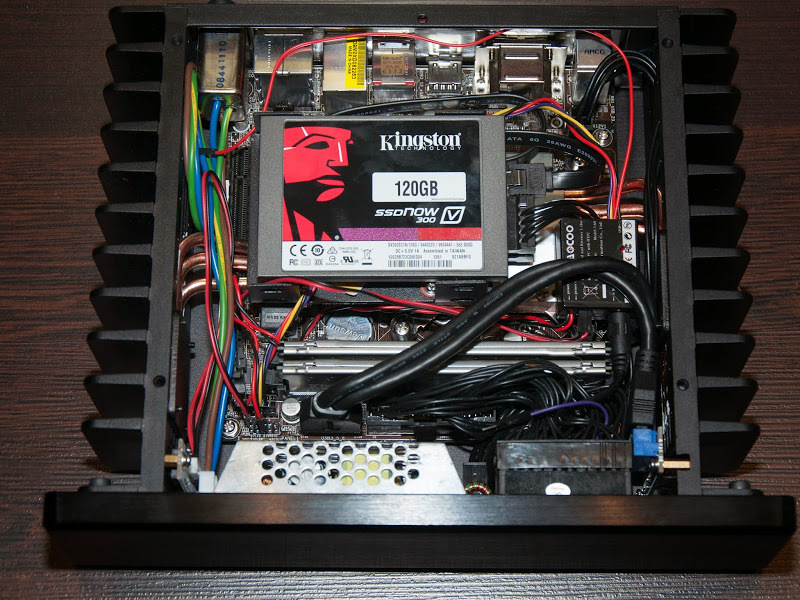 For this particular chassis the max TDP is 65W. 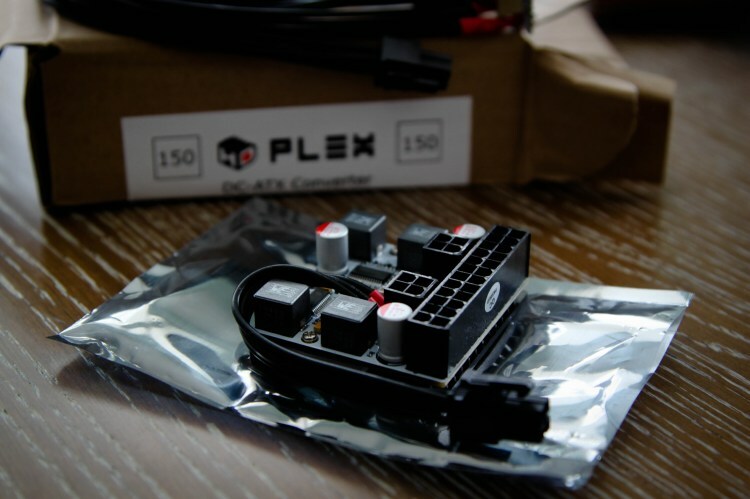 •HDPLEX 160W DC-ATX Power Supply – Perfectly adequate and stable power source for this build. 16V-24V DC input voltage > 160W (200W Peak), >94% Efficiency. •Processor – Intel i3 4130T (Haswell) – I chose this flavor of i3 strictly based on my needs. 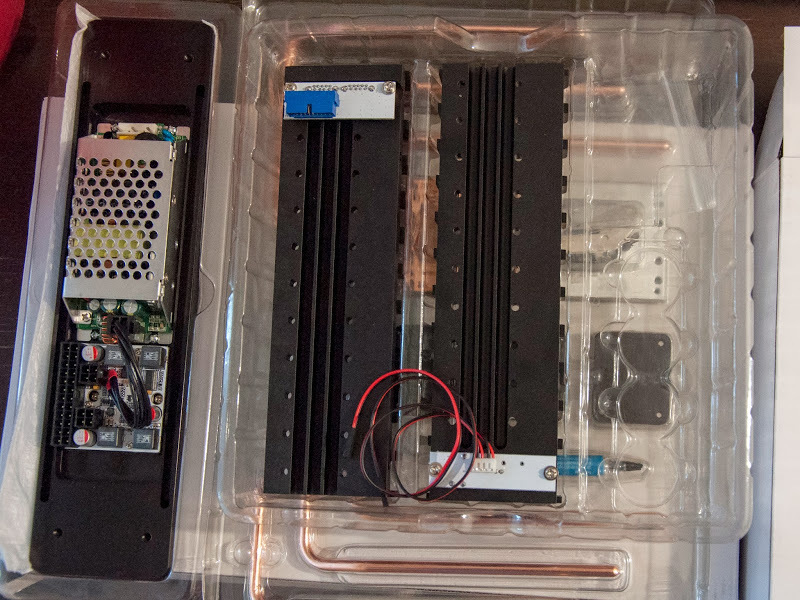 The 35W thermal design power is all but ideal for this particular type of setup. 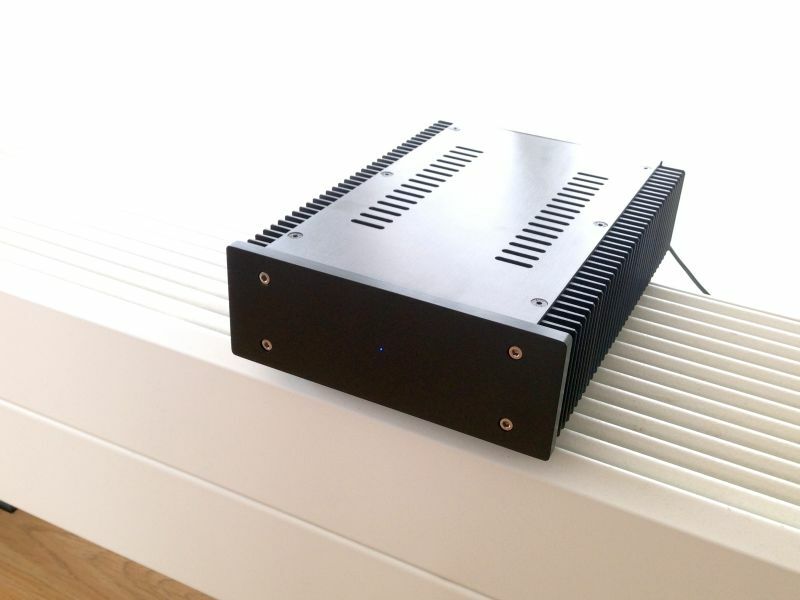 Lower power consumption equals less heat. Intel’s name speaks for itself. 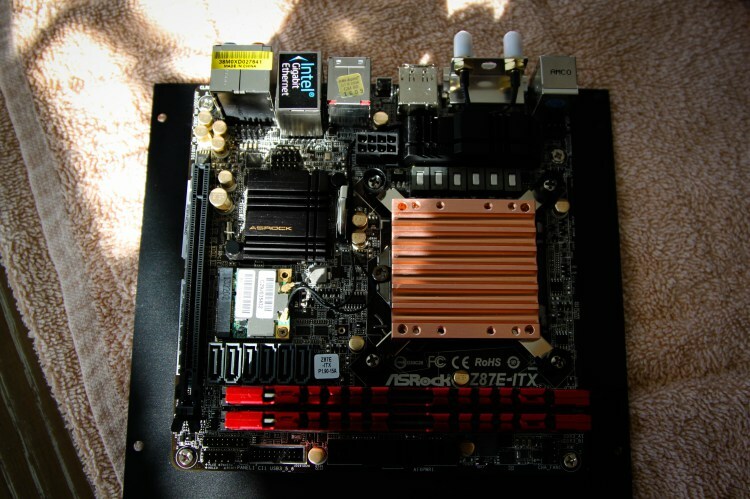 •Motherboard – Z87E-ITASRock X – Every ASRock board I’ve owned thus far has been superb. I doubt this will be an exception. I’m looking forward to trying it out. •RAM – G.SKILL Ripjaws X Series 16GB (2 x 8) – The ASRock board I chose supports the standard 16 GB’s of DDR3. 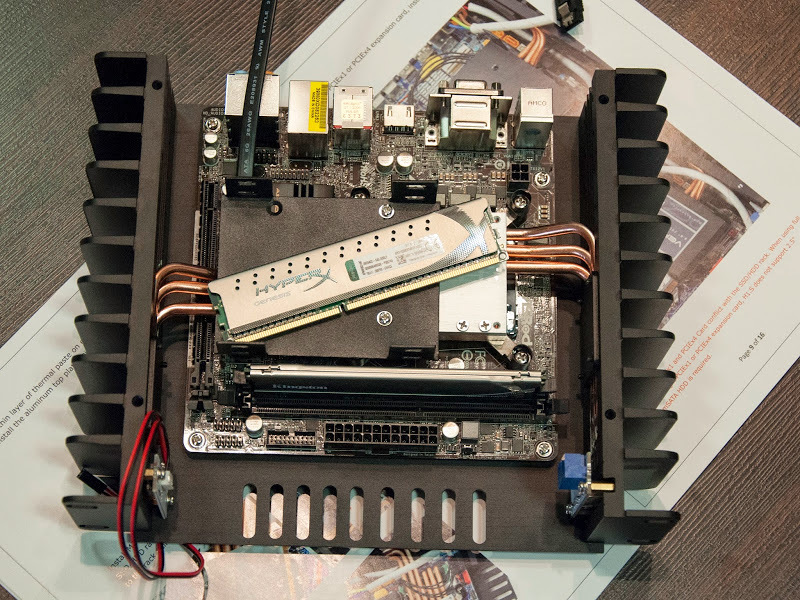 Who wouldn’t want to max out the RAM on their mobo? •Dell 19.5V 4.62A 90W AC Adapter – This was priced good on Amazon at the time of posting this article. •Debian 7.5 netinstall – I wanted to build the OS from the ground up. Starting from the foundation gives you the ability to install only what you want and leave out what you don’t need. Debian gives you stability, security, speed, and flexibility. It also happens to be my favorite operating system on planet earth. 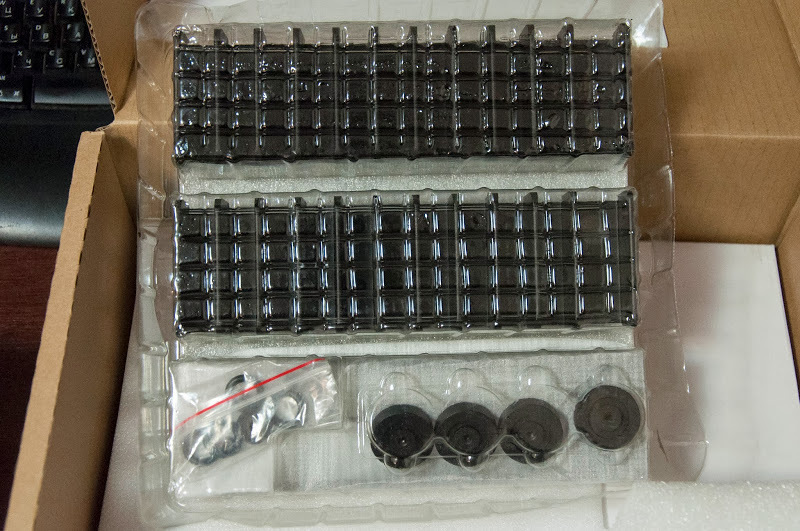 All items arrived in 1 large box. Inside this box all items were organized into separate boxes and could be clearly identified. 160W DC-ATX Power Supply to pair with 90W AC Power Adapter/Charger. It is a good idea to lay out and identify each component before beginning. 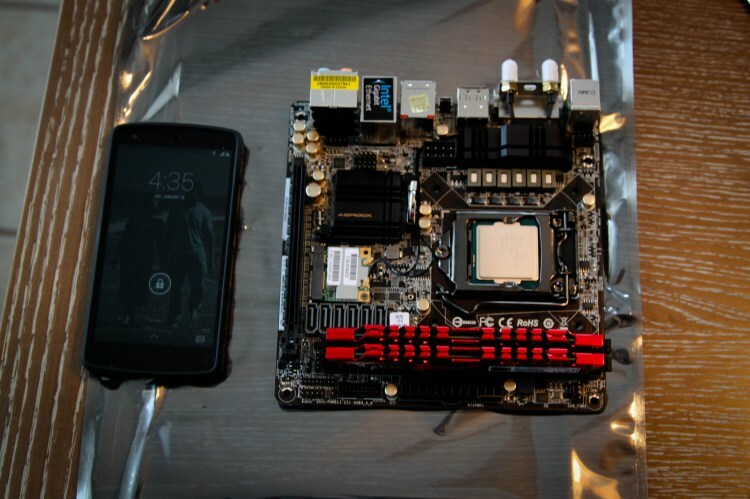 ASRock mini-ITX motherboard next to my smart phone. Smart phones have steadily increased in size however this is impressive. 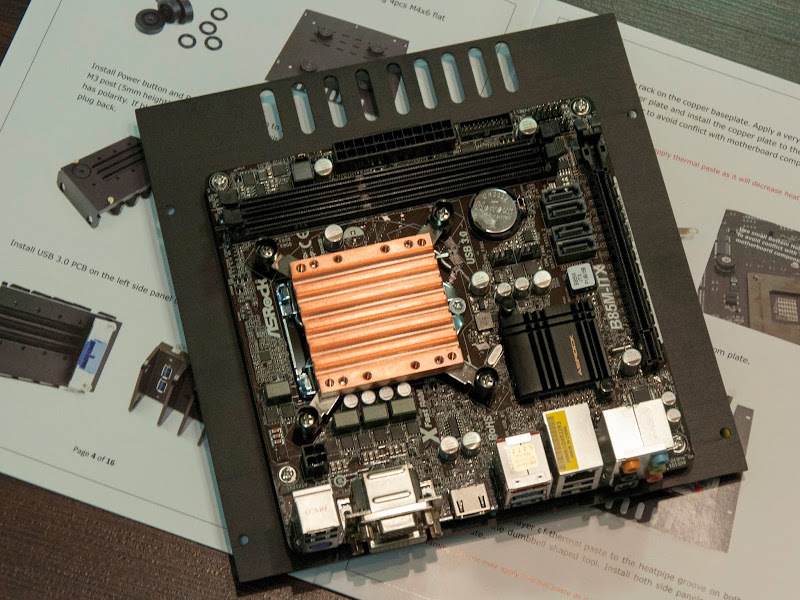 This board will fit 16 GB of RAM and a mini-PCIe. It is also loaded with more features than I’ll likely use. One of my only concerns at this point is whether the RAM will fit once the case is ready to be closed. 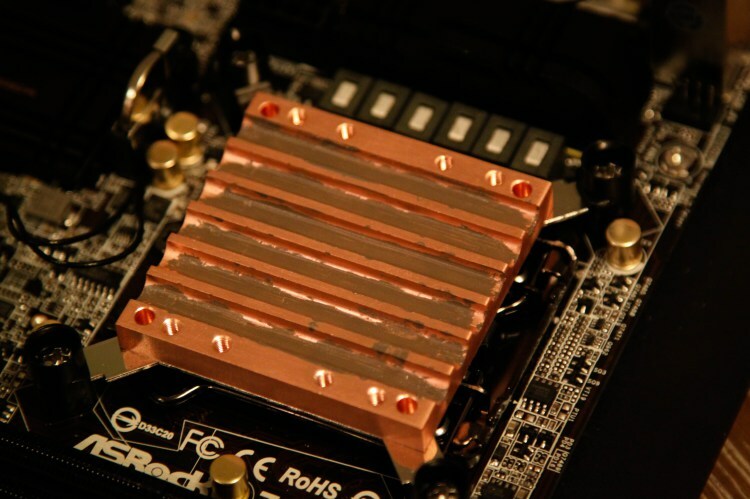 The heat syncs on this RAM seem rather tall once seated in the Motherboard. They can always be removed if needed. The heat produced wouldn’t be a need for concern. 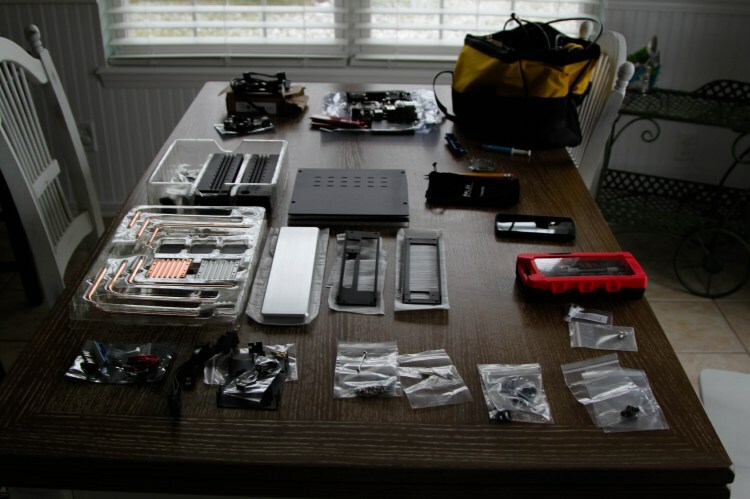 My first steps of assembly included installing the processor, copper base plate, and mounting the motherboard to the chassis’s bottom plate. A very thin layer of thermal adhesive is all that is needed. 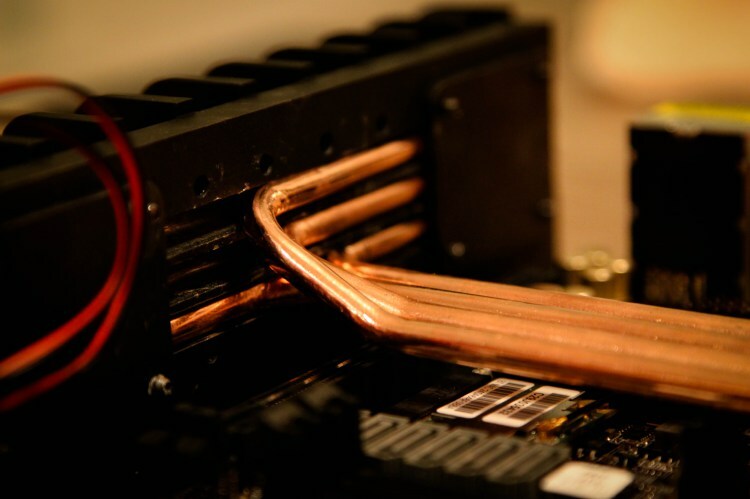 Too much will decrease cooling performance. 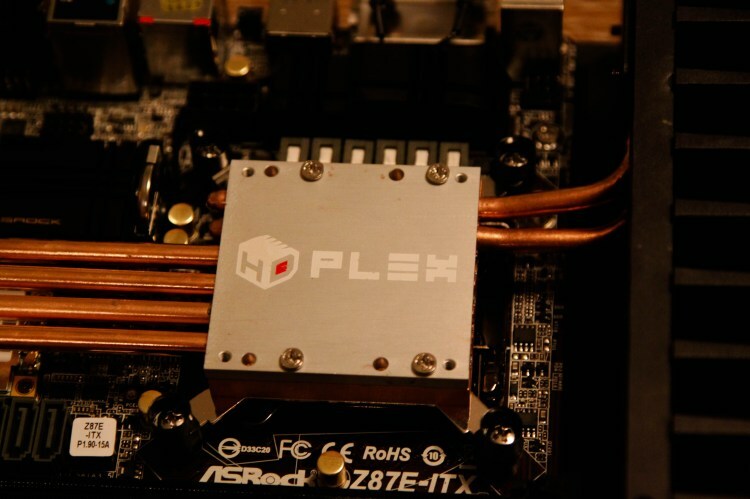 With a fanless setup like this you want to apply the perfect amount. If you apply too much you can always use rubbing alcohol to clean the surface and then re-apply. I then added both side panels. Although I had not run into any space concerns, it started to seem inevitable (eyeing the remainder of the pieces). 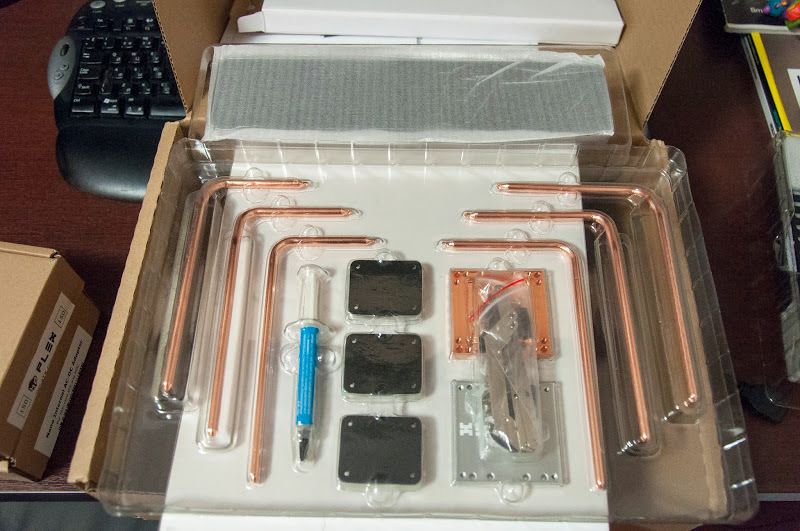 I fitted the copper pipes in place before applying adhesive to the base plate and heatpipe grooves. 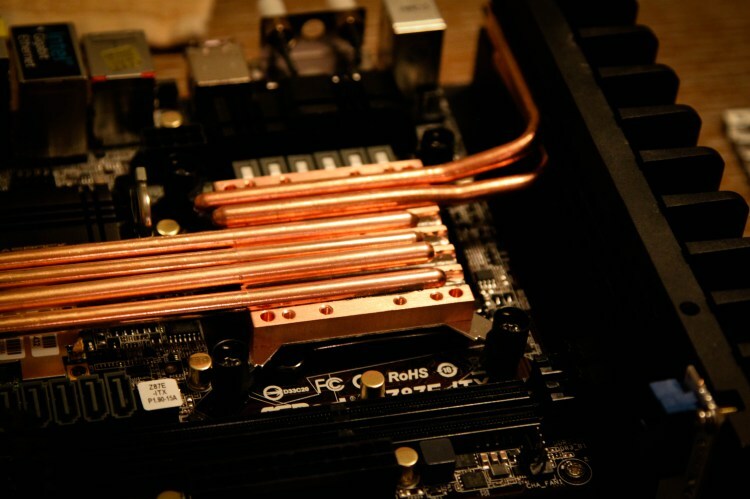 This is when I first realized one of the heatpipes was too long. The CMOS battery on the motherboard was directly next to the socket. 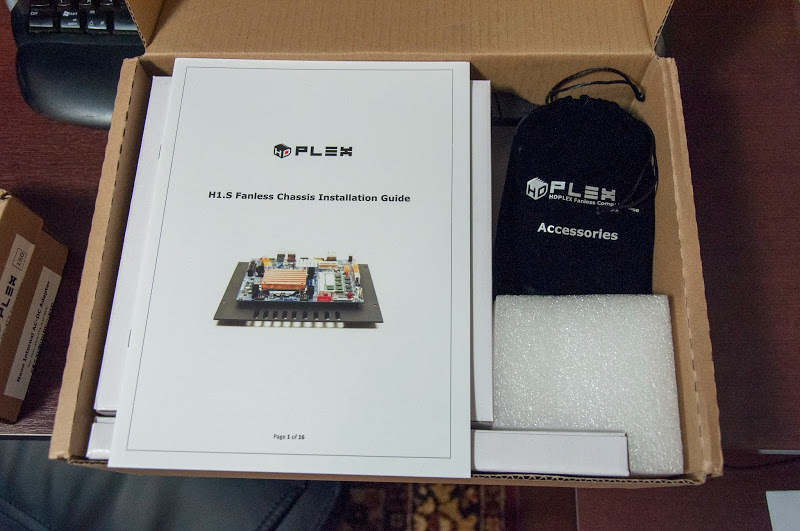 I reached out to Larry from HD-PLEX. He responded within 2 hours and informed me he would overnight a shorter pipe to accommodate this setup. Once the shorter pipe was received I continued with applying adhesive to the copper base plate and side panel grooves. 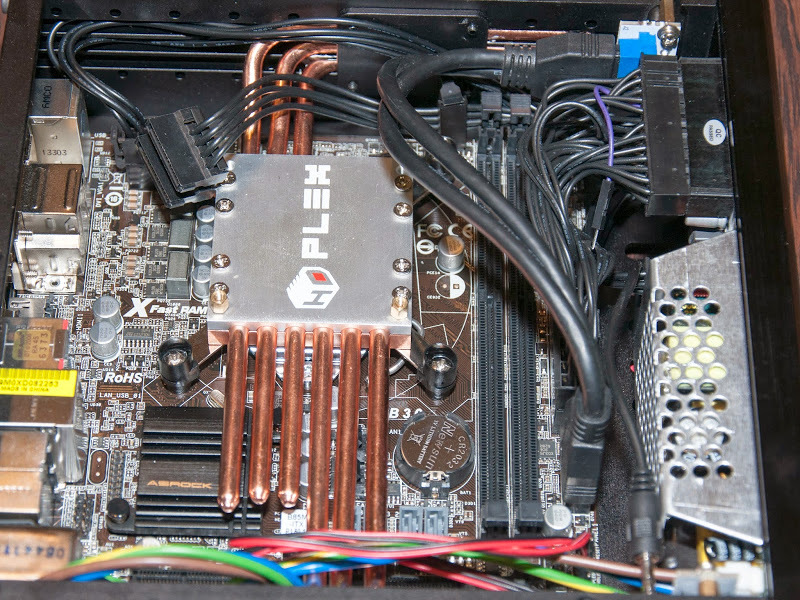 With my particular motherboard it was required to fit 4 heat pipes on one side and 2 on the other. This has no negative impact on heat dissipation. All the pieces fit like a glove. Very little if any force was needed. The aluminum top plate was then screwed in on both sides. 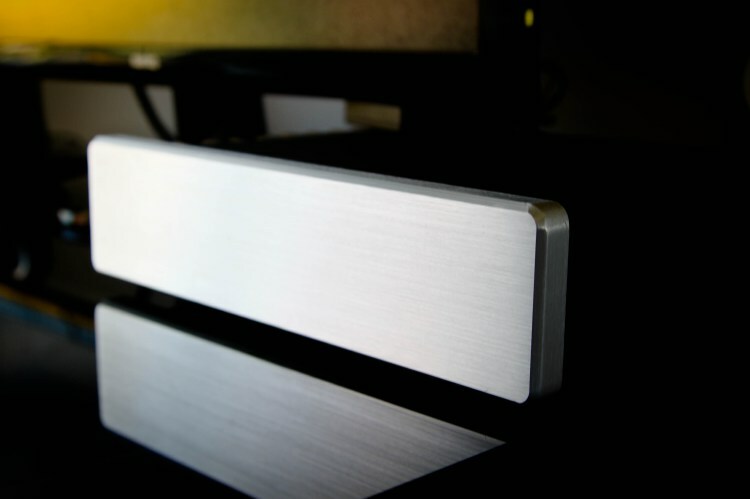 The aluminum top plate was then mounted. 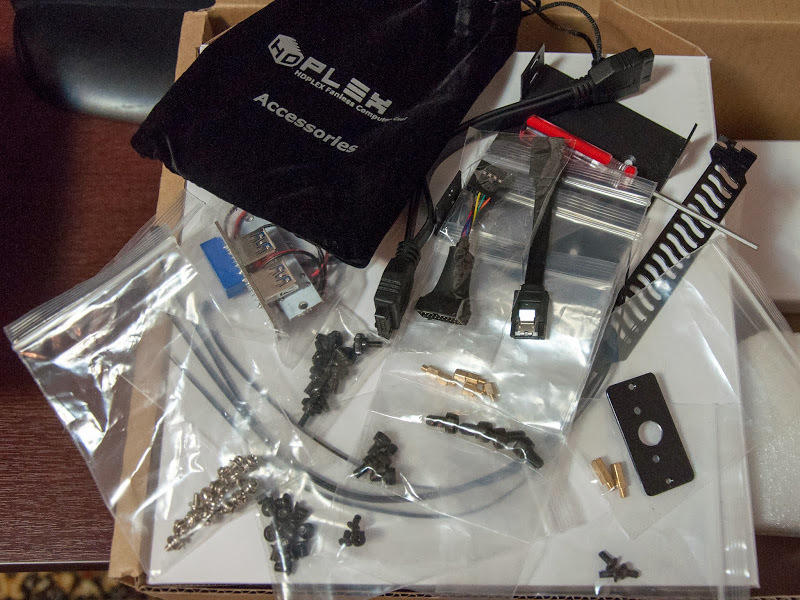 This marks right around the half-way point of total time spent assembling the hardware. 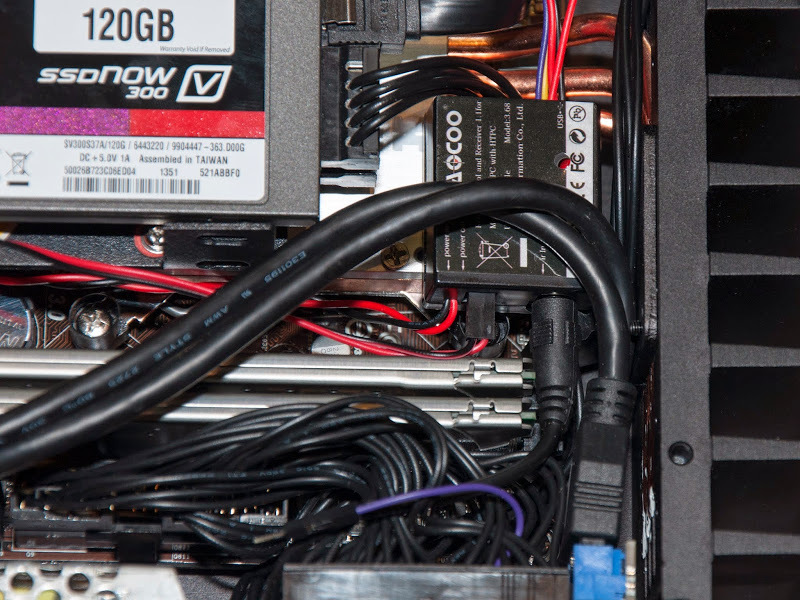 Mounting the SSD proved to be a challenge. 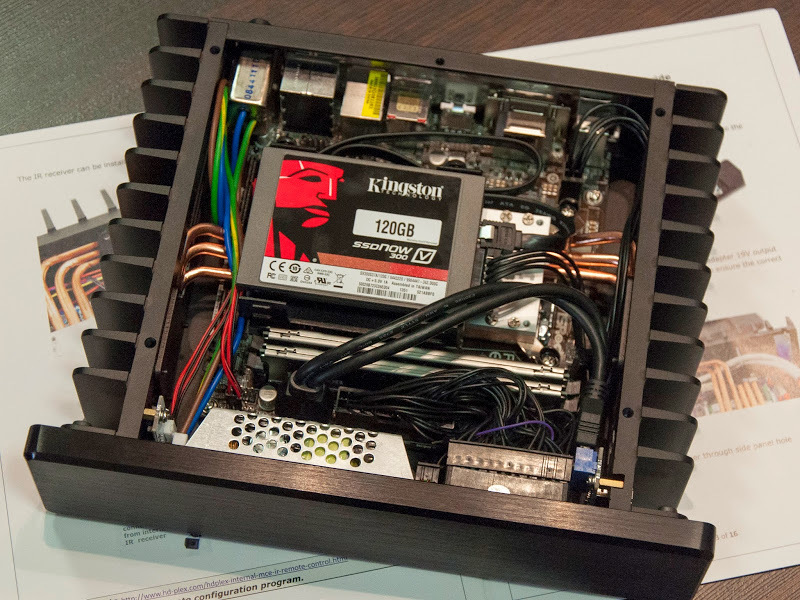 Included with the setup is a 2.5″ SSD/HDD rack. 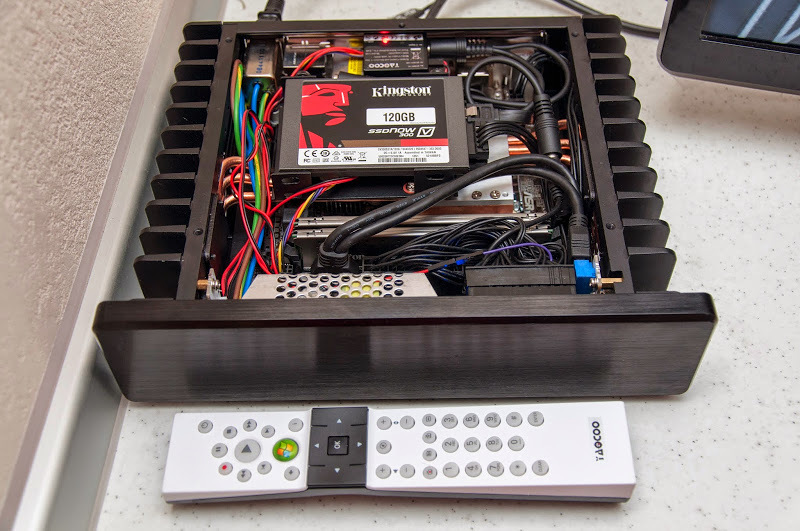 Mounting this rack is simple. The difficult part was mounting it in the direction that would leave the most room to accommodate the cabling. A little bit of trial and error did the trick. I routed the cabling and plugged everything into the motherboard before adding the face plate and back plate. 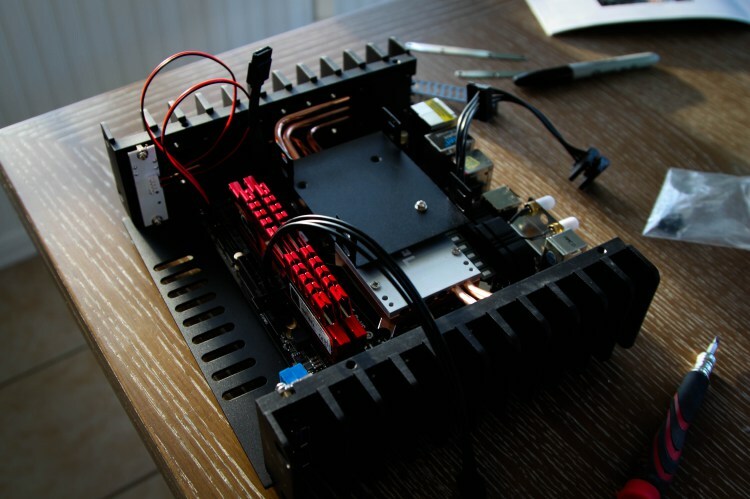 The Internal 160W DC-ATX Power Supply was easily installed on the face plate. The back plate was then screwed on. I then started it up with a distribution of Linux installed on a USB drive. 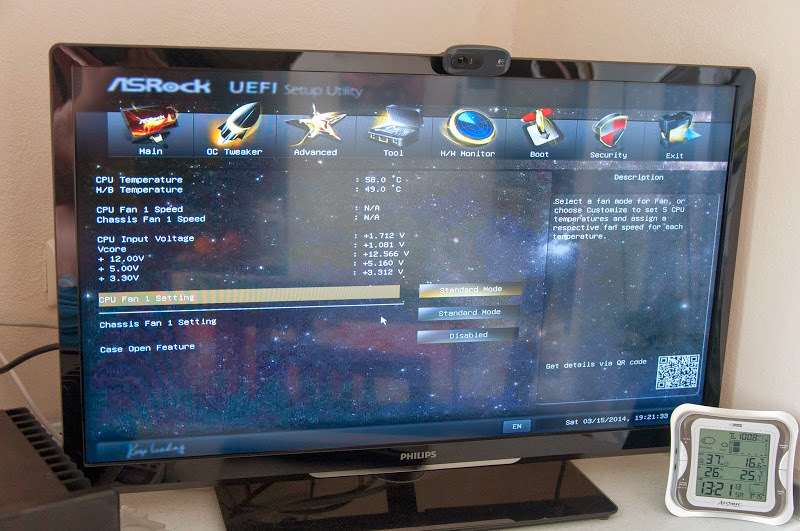 I initially thought I botched something but a few seconds later the ASRock screen appeared. Success! I was able to screw on the top of the chassis with little to no rearrangement or trouble. The finished product is very aesthetically appealing. Overall I am very pleased with the product. 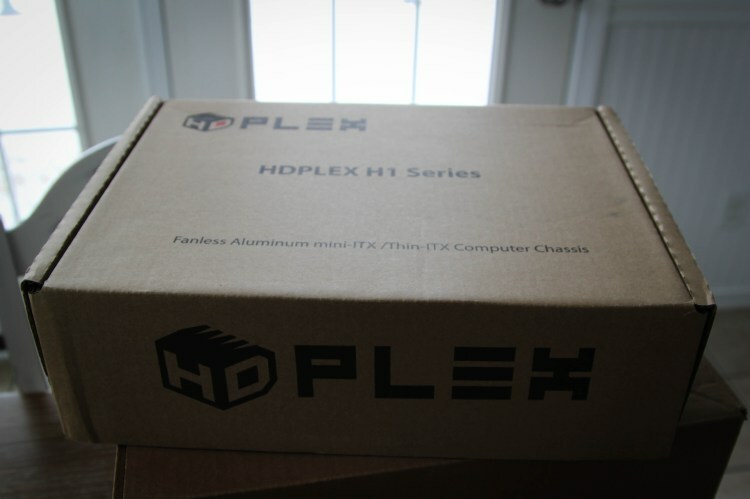 Larry with HD-PLEX offered first class support and responded to all questions & concerns in a timely manner. 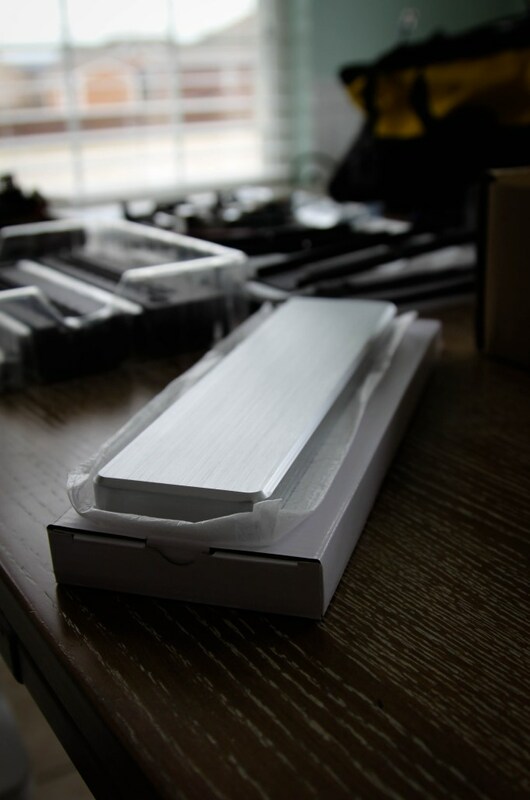 The quality of the product exceeded my expectations in both craftsmanship and performance. With this being said it is important to do your homework on each component you decide on. Provide these details in your order so accommodations can be made if needed. 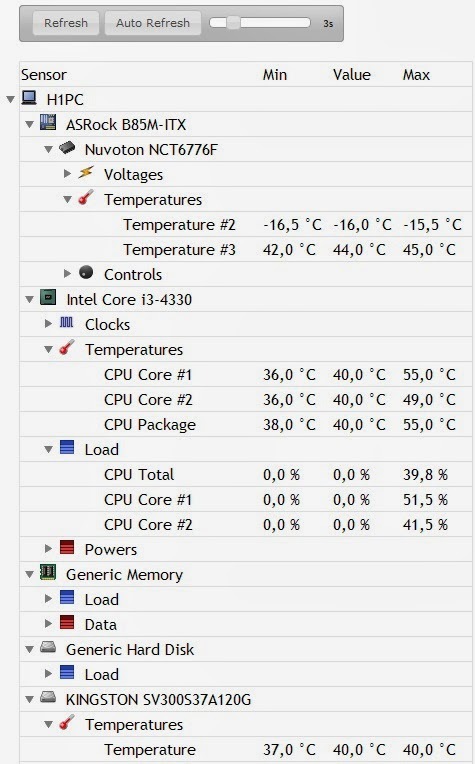 The cooling system also seems very effective. I did some minimal prime 95 blend (CPU + RAM) stress testing and was happy with the results. In my opinion this setup could honestly be a desktop replacement (if no gaming is involved). Any questions feel free to ask.